There are new products coming into our Encaustic Art life now and through the autumn. First to arrive are some rubber tools for hotplate and hot air work. These are fun to use and bring a whole new set of possibilities to your work. 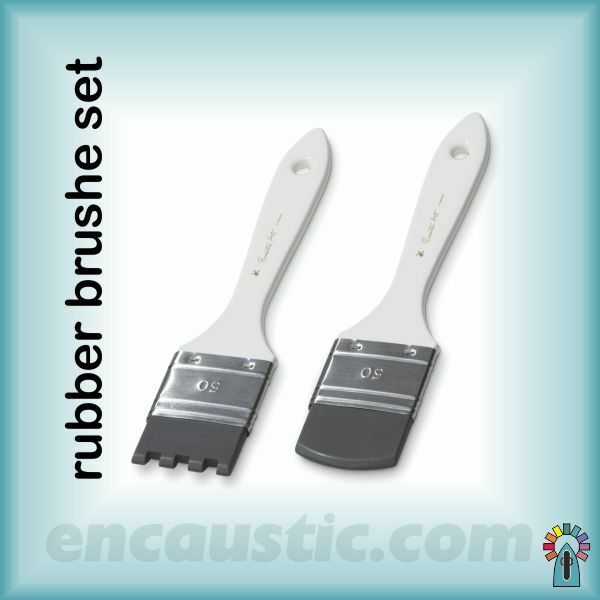 The rubber brushes are used to move molten wax around, usually on a hotplate, but also work with hot air melted wax. There are two rubber brushes in the assortment. One has a toothed end edge and the other has a solid curved rubber tongue. These tools are very useful and create a variety of effective marks and patterns. 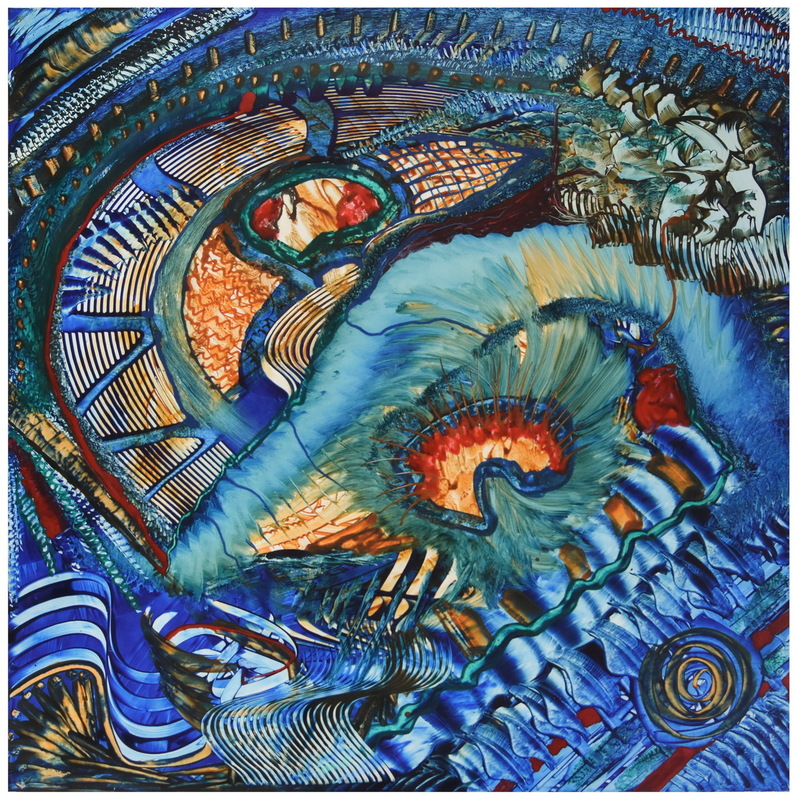 This piece of artwork, created on a hotplate onto a board material, has been helped into this form by use of the rubber comb and the rubber brushes. 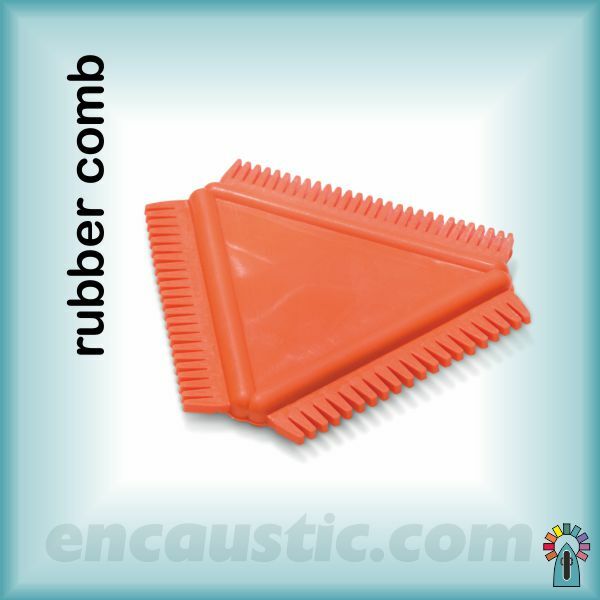 There are many techniques included into tis piece of work, but the rubber comb section is very noticeable. If you watch both the short product introduction videos above then look at this piece again you will no doubt see many of the places where those rubber tools delivered interest and helped shape the final result. As well as the rubber tool work there was also involvement from a number of other things. Tissues, the stylus drawing tip, a rubber stamp and direct wax block application were all used in this enjoyable creative process on an A2 hotplate.